Full disclosure here- wildlife photography is not all solitude and beauty. Sometimes it can seem more like trophy hunt. And when the trophies are easy to get, word spreads. Then I am one of the crowd at the zoo. Such was the case at Amherst Island last week. 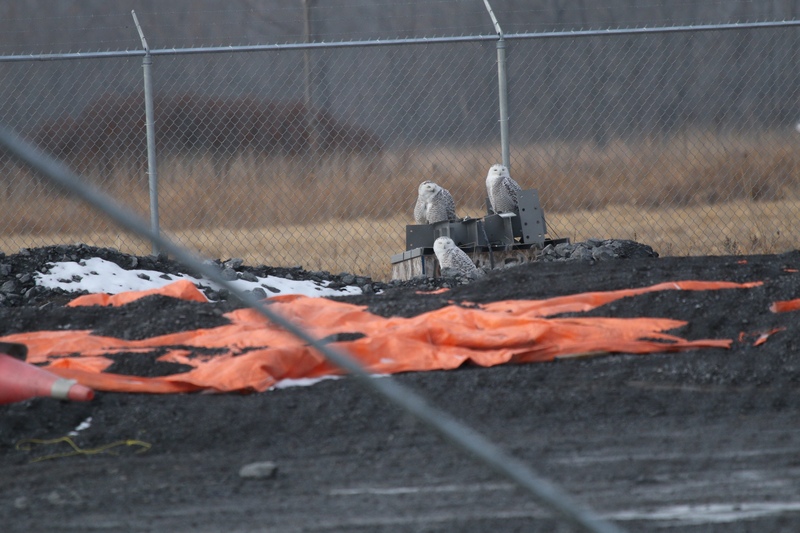 Remarkably, a large group of Snowy Owls were hanging around a construction site on the main road of the island. These owls were literally inside a fenced in enclosure topped with barbed wire that enclosed construction equipment. 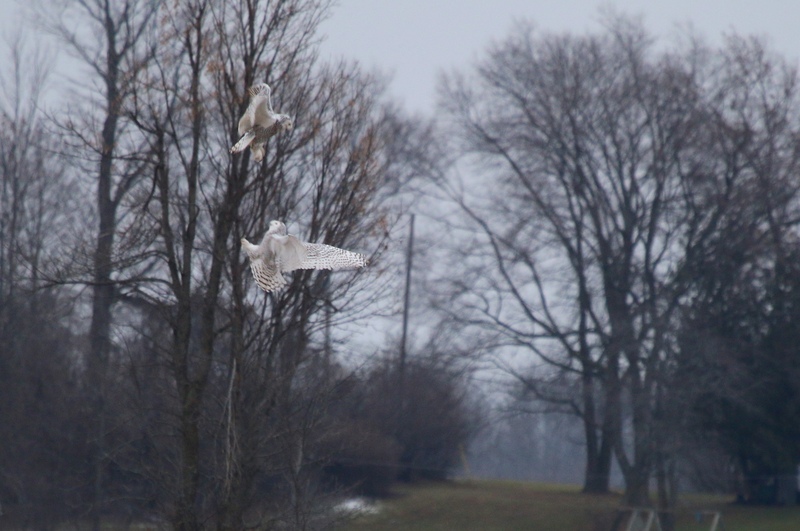 Bird reports foretold of this bounty of owls, and the reports were not wrong. Standing in one spot I could turn 360 degrees and see at least 18 owls. Some were resting, others were flying around screaming and interacting. 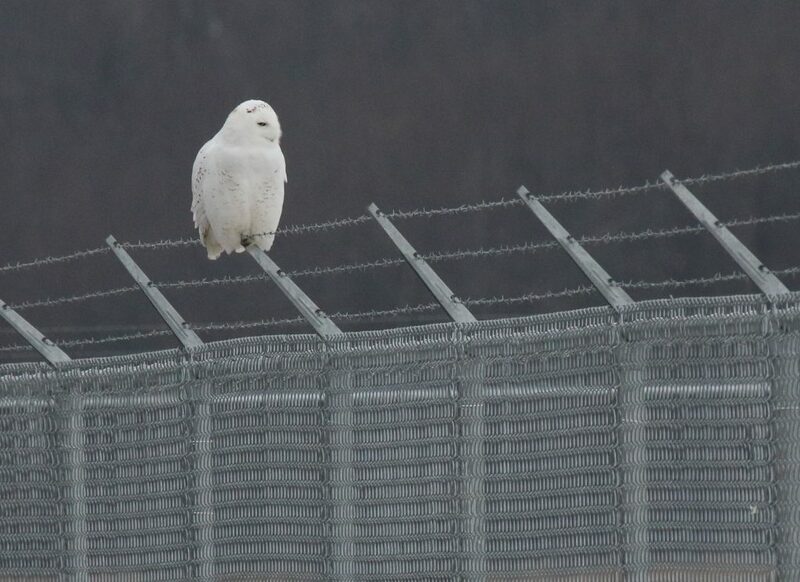 Every once in a while one would dive down to capture one of the abundant voles that also live on the island, and who are the reason for this parliament of owls I am sure. The two photos above show part of that 360 view that was not inside a barbed wire fence. 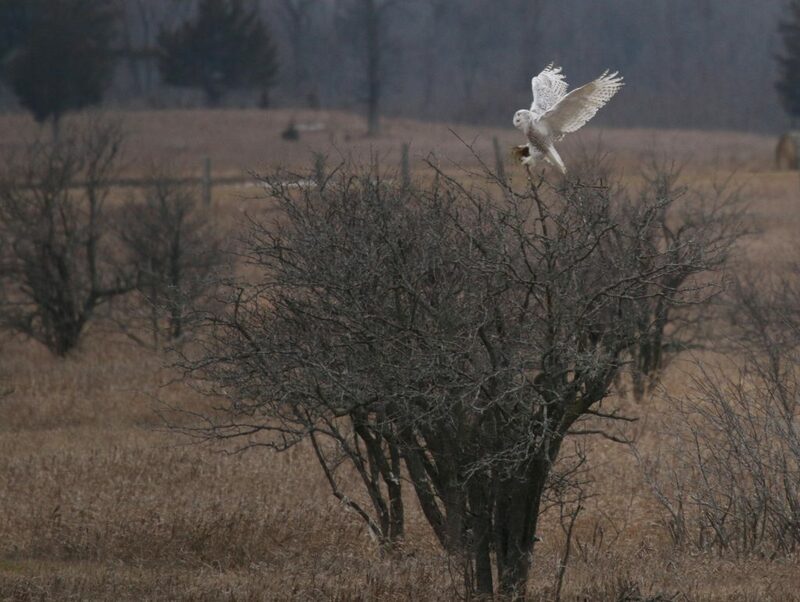 Can you find all 4 owls in both of the photos above? Though I pledged to stay still and watch the owls, I only lasted for about 15 minutes. 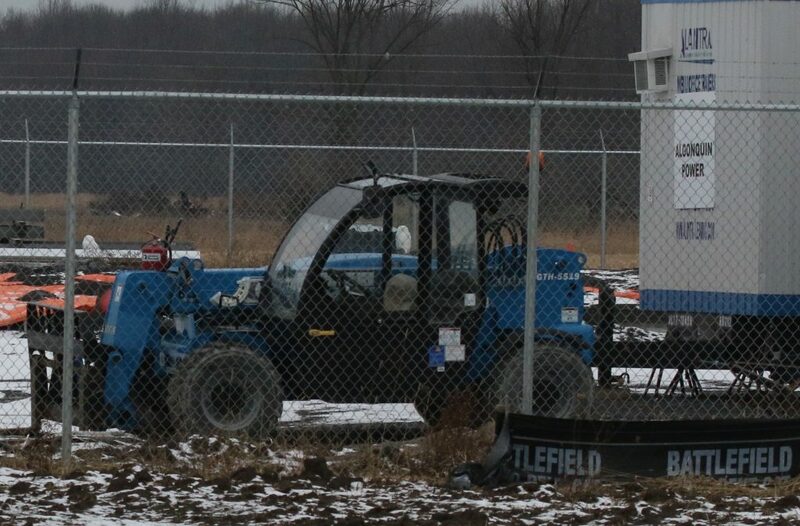 People were driving, walking, setting up their equipment all over the place. Trucks splashed by on the muddy island road. Everywhere I looked, humanity. I know I am just like them. I’m setting up my equipment, waiting for that perfect shot. I’m just as excited to see this multitude of owls as anyone else. But somehow I couldn’t stick around. I went for a drive to the far end of the island where there were no people. 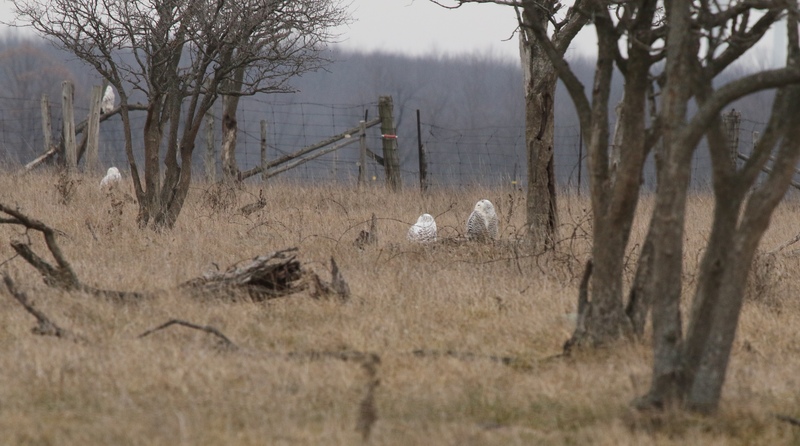 There were owls there too! 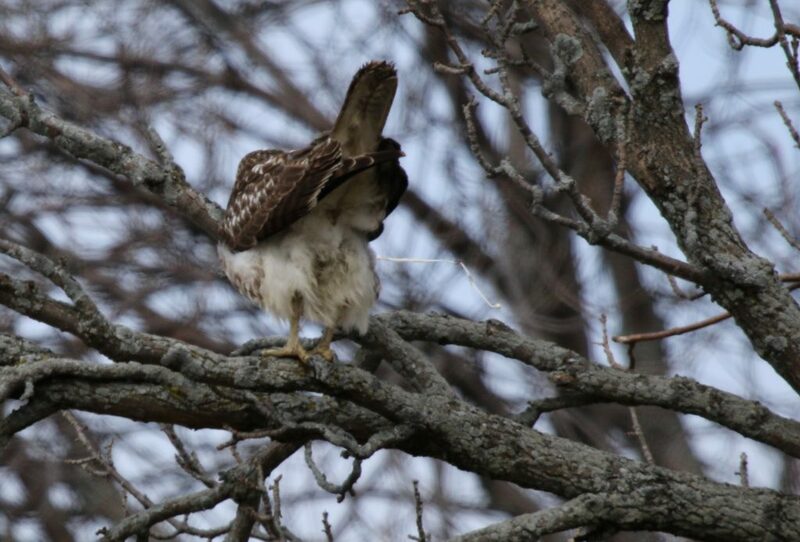 And also Rough Legged Hawks, like the one above. Maybe that was bounty enough for the day. 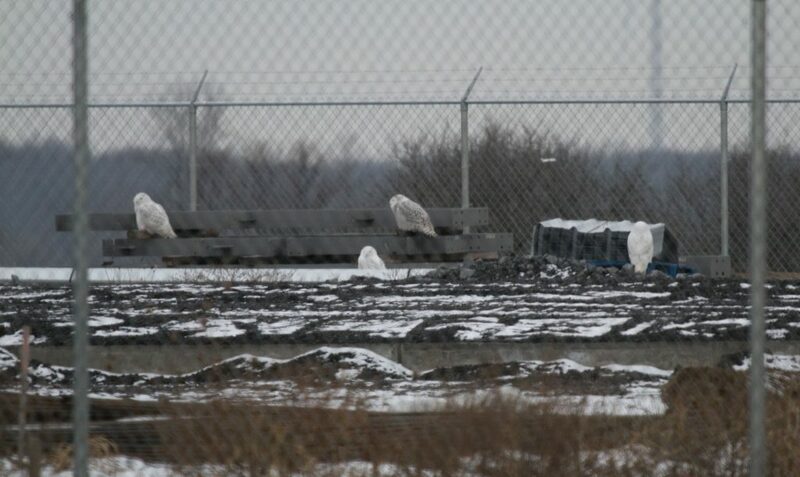 January 15 update: The owls have since dispersed. Wow! Leslie that looked like owl heaven. Thank you for sharing these wonderful photos including the last one, lol, great timing. Well thanks Maria, glad you enjoyed that last one. 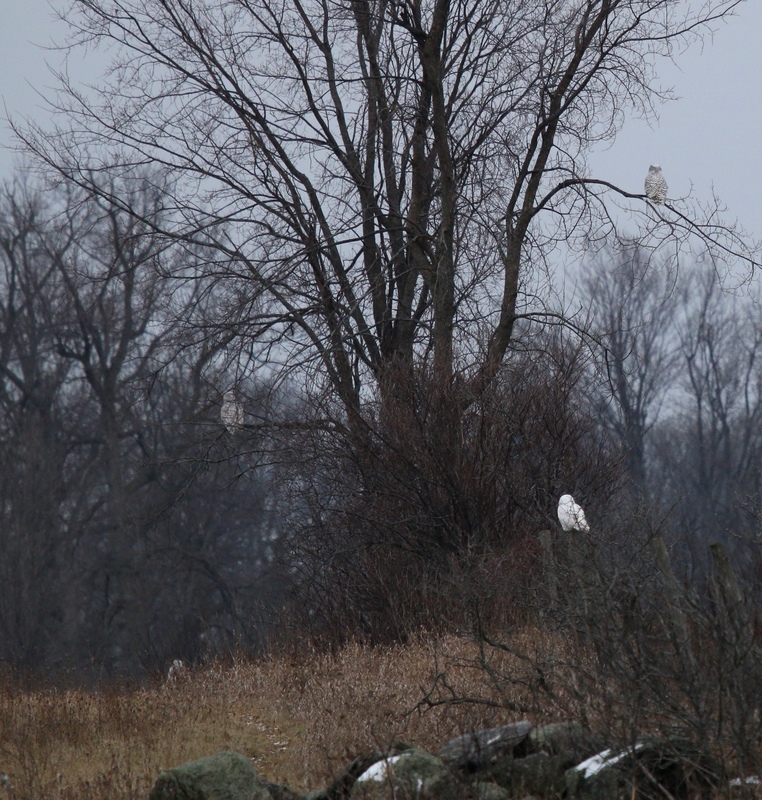 WOW what an amazing day with so many snowy owls!!! I do understand about people, crowds especially- it ruins the atmosphere. 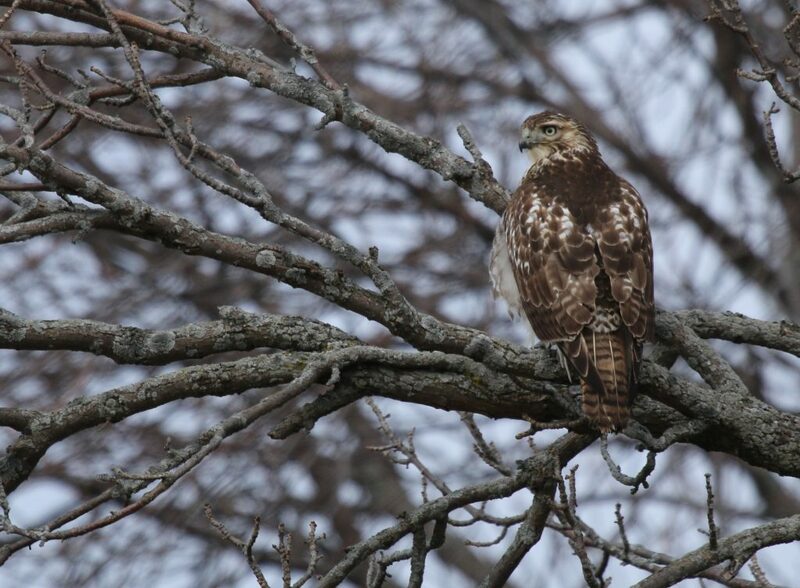 The Ottawa birding group forbid mentioning where you spot owls as some bait them there! This is a real no-no to most! Love your photos Leslie! Hi Barb it was such a spectacle! There must have been a lot of voles there. Perhaps not so much now!